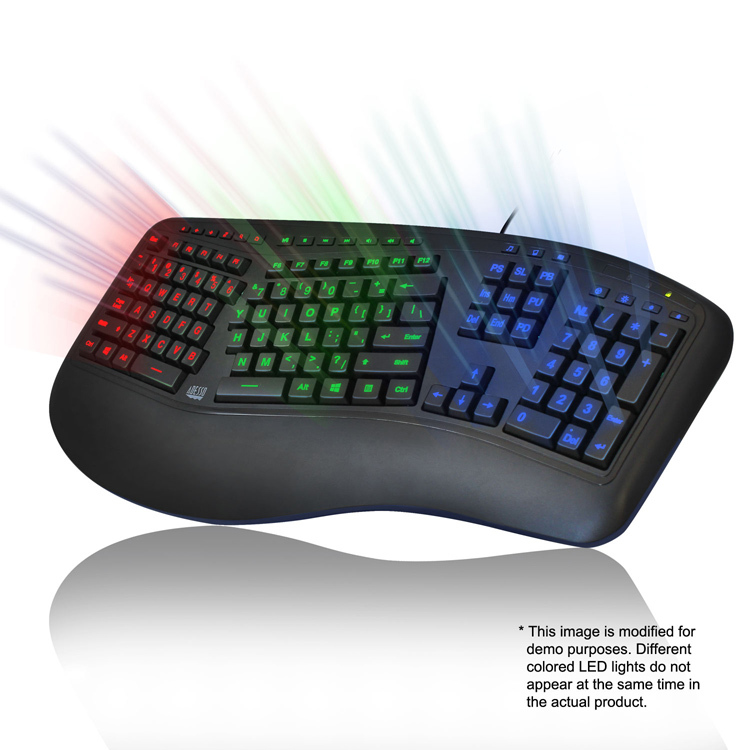 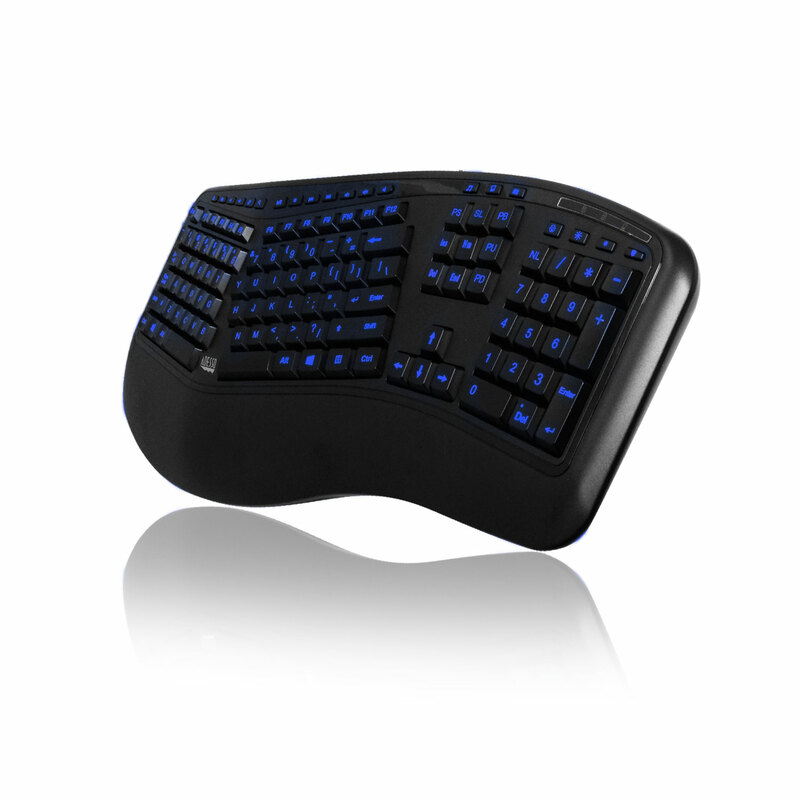 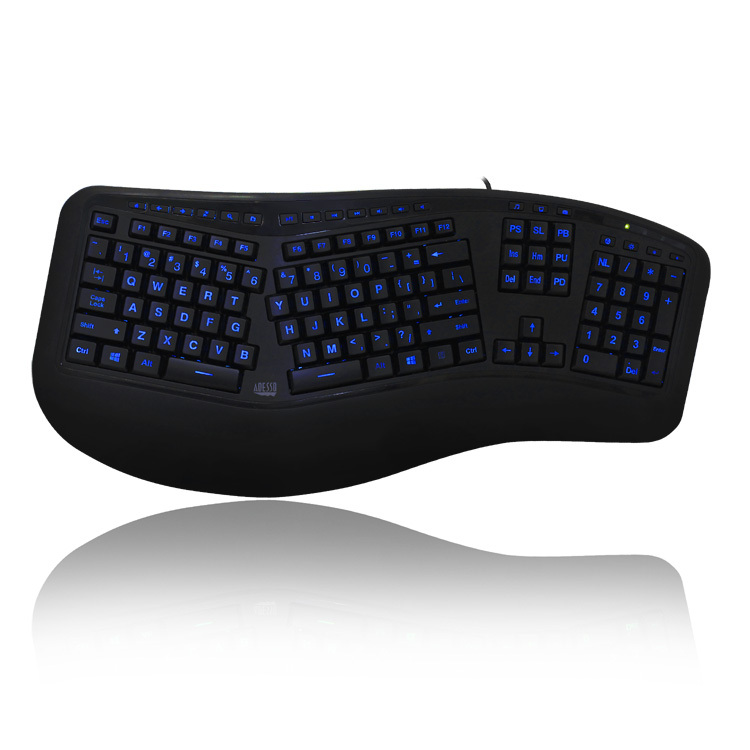 The Adesso® Tru-Form 150 – 3-Color Illuminated Ergonomic keyboard is designed with ergonomic split key zones and a gentle slope for the natural positioning of hands, wrists, and forearms, increasing maximum comfort and extended use. 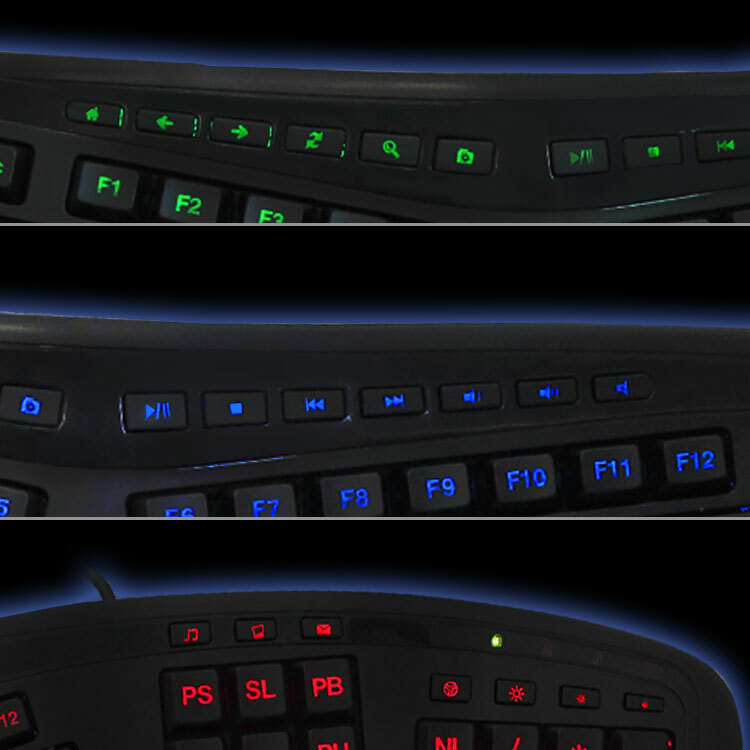 With its eye-soothing backlit keys made for increased productivity in dim or dark environments, you can easily switch between green, blue or red lights with one touch of a key! 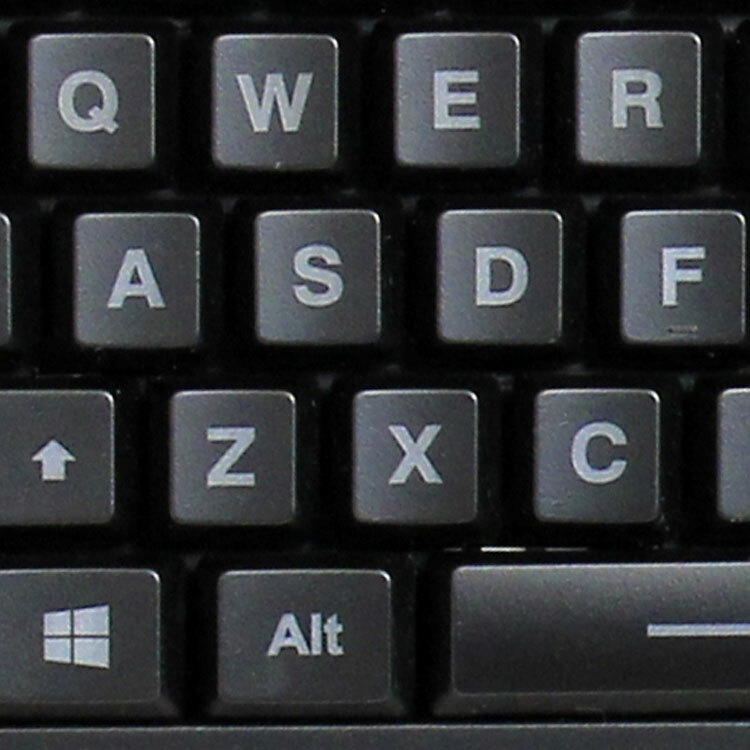 The multi-functional hotkeys allow quick access to your media controls, email, internet browser and other common applications. 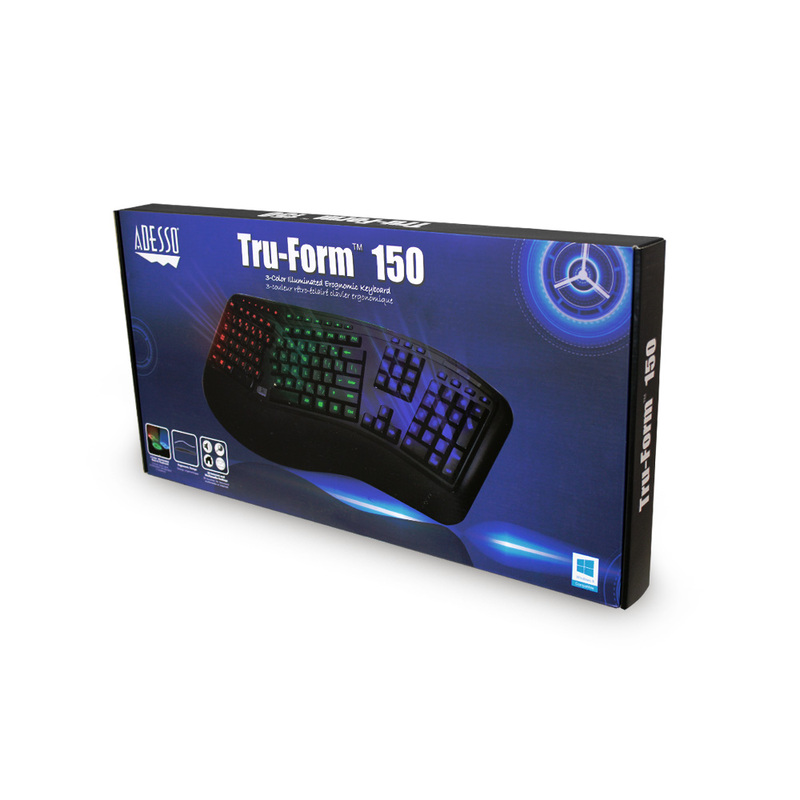 The Adesso® Tru-Form 150 is also designed with membrane key switches that provide a quieter, faster response and stands up to long term usage. 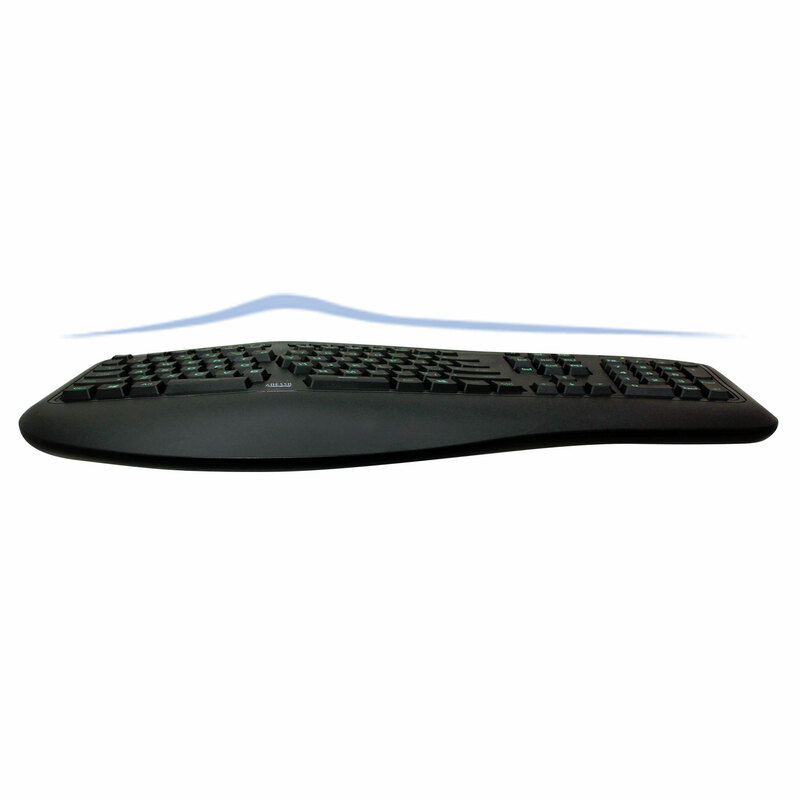 Sleek and modern, Adesso® Tru-Form 150 brings the best in comfort, efficiency, and style.